The owner of a teddy bear which was left behind at a music festival - along with a book charting his "wonderful adventures" - has been traced. 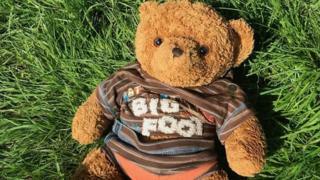 The toy, named Charlie Bear, was discovered after fans departed the Electric Fields festival in Dumfries and Galloway at the weekend. The organisers posted an appeal on social media to try to get him home. They confirmed a few hours later that a parent of the child who lost the bear and the book had contacted them. Arrangements are now being made to return the items which were on loan from the child's nursery. All other lost property from the event will be taken to Sanquhar police station by the end of the week.